An original costume created for the production of Robin Hood: Prince of Thieves, the 1991 adventure picture starring Kevin Costner in the title role. 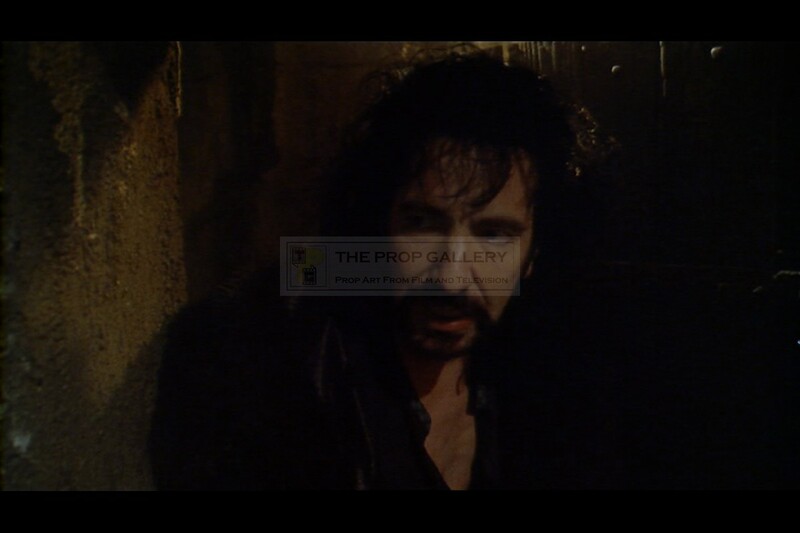 This cloak was created for use by Alan Rickman as The Sheriff of Nottingham by leading theatrical tailors Angels the Costumiers, constructed from black leather the costume was created in a distressed fashion from differing panels and features two studded ties which can be used to secure the wardrobe. 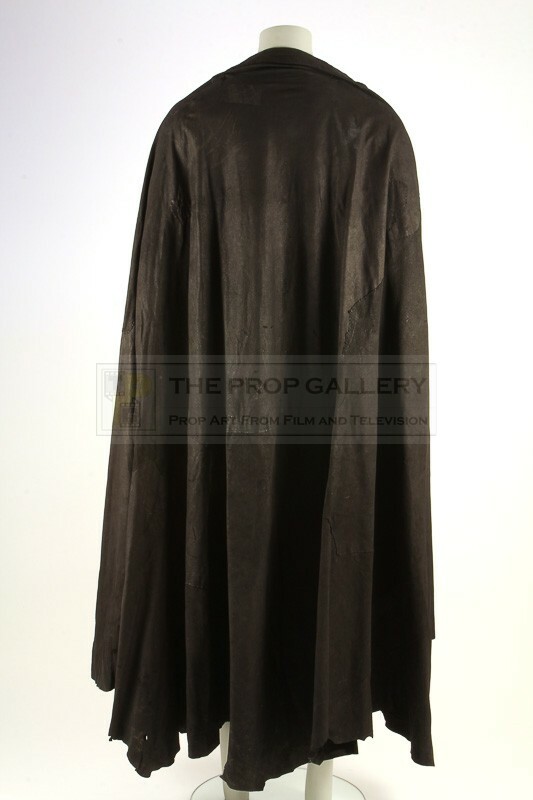 The costume bears an original Angels inventory tag which is type written 'ALAN RICKMAN, ROBIN HOOD PRINCE OF, BLACK LEATHER CAPE', although made for use by Rickman this cloak does not appear in the final cut of the movie. The costume remains in excellent distressed condition with signs of production use to include minor mud soiling to the bottom, overall fine. A rare example of principal character wardrobe from this mega grossing box office smash.